Shaw said that Infosys is entering a new phase under new leadership and there is strong focus on new growth areas. Along with releasing the quarterly results for Q4FY18, Infosys also announced a significant move towards reforming its governance structure. 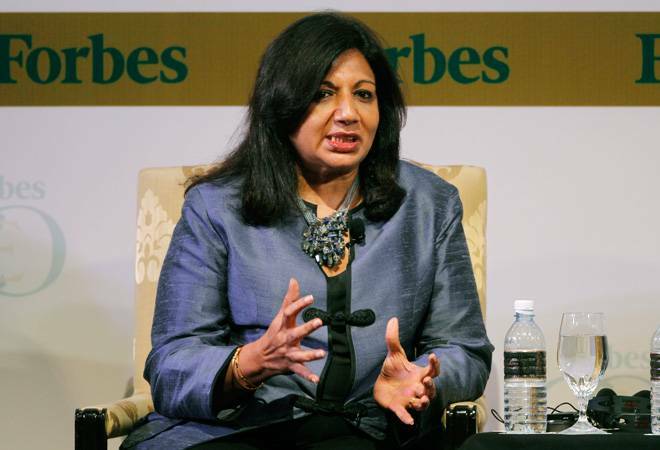 Following the Uday Kotak Committee recommendations on corporate governance, the IT major has appointed Kiran Mazumdar-Shaw as the Lead Independent Director of the Board. This means she will represent all independent directors on the Infosys Board. Shaw presently holds the office of chairman and managing director at biopharmaceutical major Biocon. She will also continue to chair the NRC (Nomination and Remuneration Committee) and CSR (Corporate Social Responsibility) committees at Infosys. Speaking to Business Today, and apparently quite happy with the direction Infosys was taking, Shaw said: "I think Infosys is entering a new phase with new leadership and like the CEO Salil Parekh has said there is a strong focus on new growth areas with the four pillars that he has talked about." The newly appointed Infosys CEO talked abourt scaling the Agile Digital business, energizing the client's core technology landscape, re-skilling the employees, and expanding the localization efforts in markets abroad such as in the US, Europe, and Australia. She felt the company being able to showcase a continued growth momentum in the last quarter was also noteworthy. The office of lead independent director is a relatively new one in India but has been present abroad under different names for quite some time now - for instance, senior independent director in the UK. A lead independent director acts as a sounding board for the chairman, and an intermediary for the other directors whenever required.